Kyle was born and raised right here on the Emerald Coast, in Fort Walton Beach. He’s a true “local”. His broad background in sales, customer service and communication is one of the cornerstones of his growing real estate career. “I know that no single approach is right for every individual and their family’s home needs. And I take pride in being a local REALTOR that people can trust”. His work ethic is second to none when it comes to working with individuals looking to sell their condo/home, first-time buyers, a family needing a bigger home, a second home, or an investment property near the beaches. 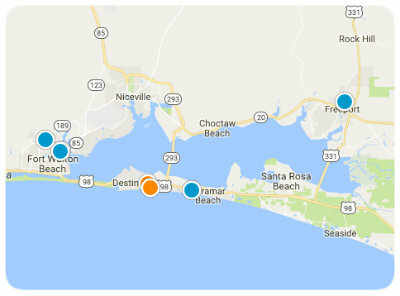 Kyle covers the entire Emerald Coast: Destin, Miramar Beach, Santa Rosa Beach, 30-A, Panama City Beach, Fort Walton Beach, Navarre, and Niceville. He married his childhood sweetheart and they have four lovely children.